Barb is a passionate and engaging speaker and published author who culls her 34 years as a Registered Nurse in acute and chronic care combined with her background in healing touch, medical intuitive training, NAET, and nutrition to deliver meaningful preventive healthcare seminars and workshops for corporate and non-profit organizations. 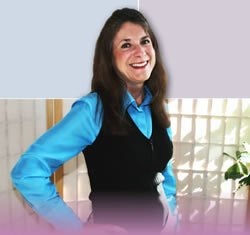 She also offers consult services for organizations interested in setting up wellness programs. Her guiding philosophy is that health and wellness in the workplace is the foundation of corporate productivity. Barb’s expertise in the principles of Integrated Care Management can be tailored to create unique health and wellness seminars that suit the needs of your organization. Wellness seminars can focus on such topics as allergies, nutrition, stress management, time management, work-life balance, smoking cessation, physical activity, weight management and more. As the owner of Holistic Care Approach (HCA), Barb offers the people of West Michigan an integrated wellness facility where they can find excellent practitioners providing many complementary services and products under one roof. Her goal is to provide our community a safe place where people can learn about their health care options beyond drugs and surgery. Companies can also take advantage of these centralized services by requesting the design of in-service programs such as Holistic Care’s popular on-location chair massage program presently enjoyed by companies such as Spectrum Health. Individual co-active coaching sessions are also available to develop complementary treatment plans that integrate with those of physicians and specialists. Motivate your workforce to become healthier and more productive! Contact us to discuss your needs!